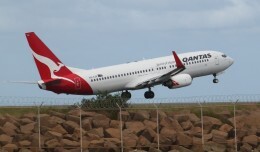 Isn’t it true that Qantas, the Australian airline, has never suffered a fatal accident? 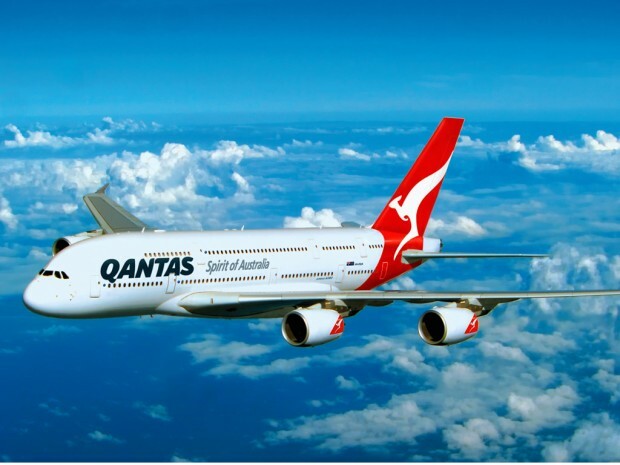 That’s the myth, perpetuated far and wide—and which, no surprise, Qantas doesn’t exactly rush to dispel. 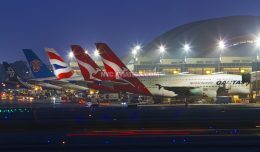 Let the record show, however, that the history of Qantas is scarred by at least seven fatal incidents. All of these, to be fair, took place prior to 1951, and the carrier has been perfect ever since. 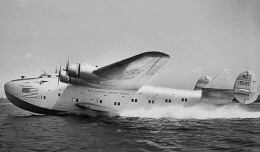 So while the details aren’t quite right, the gist of the Qantas legend stands: its record is an outstanding one. Qantas stands as a kind of anti-Aeroflot. Whereas many people’s perceptions of Aeroflot are based on silly caricature—vodka-swilling pilots at the controls of patched-together Cold War rust buckets, with brutish babushkas shouting at passengers—an even greater number have fallen for the myth of the Immaculate Qantas. This false history was even immortalized by Hollywood, through an exchange between Tom Cruise and Dustin Hoffman in the 1988 movie Rain Man. I love that exchange because it’s Cruise’s character, not Hoffman’s, who makes the more accurate and valuable point. And so if Qantas isn’t the safest airline, which is? That’s a question I’m hit with all the time. I do not have an answer because there isn’t one. Considering just how rare crashes are, such comparisons are little more than an academic exercise. The nervous flyer’s tendency is to make distinctions in an abstract, purely statistical sense rather than a practical one. But these distinctions aren’t particularly meaningful when a small handful of incidents is spread over thousands or even millions of departures. Sites like Airsafe.com happily serve up airline-versus-airline safety data, but why drive yourself crazy poring over the fractions of a percentage that differentiate one carrier’s fatality rates from another? 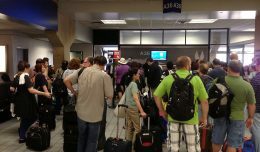 Really, is airline A, with one crash in twenty years, a safer bet than airline B, with two crashes over that same span? If you feel more comfortable picking United over Aeroflot, or Lufthansa over China Airlines, go for it. Will you actually be safer? Maybe, when hashed out to the third decimal place, but for all reasonable intents and purposes, they’re the same. Price, schedule and service are the only criteria you really need to bother with. This same line of reasoning extends to equally popular aircraft-versus-aircraft debate. Which are more trustworthy, 737s or A320s? Answer: take your pick. Virtually every established airline, and every certificated commercial plane, is safe by any useful definition. This holds true with respect to budget carriers. And what is a budget carrier, exactly? Southwest would probably fit that bill by most folks’ definition, yet its only fatality in forty-plus years of flying was a runway overrun incident in Chicago that killed a boy in a car. There is longstanding suspicion that young, competitively aggressive airlines are apt to cut corners. It’s an assertion that while it feels like it makes sense, it isn’t bolstered by the record. In the United States, a twenty-five-year lookback, encompassing every upstart carrier since the industry was deregulated in 1979, from PeopleExpress to jetBlue, reveals only a handful of fatal crashes and an overall accident rate in proportion to market share. There are, and always have been, newer and smaller airlines that run highly professional, button-down operations up to the highest possible standards. Others have run looser ships and paid the price. At the same time, some of the world’s eldest and most respected carriers have, on occasion, been guilty of deadly malpractice. This same line of reasoning extends to equally popular aircraft-vs-aircraft debate. Which are more trustworthy, 737s or A320s? Answer: take your pick. 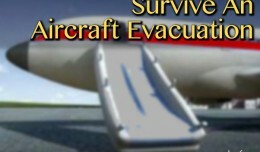 Virtually every established airline, and every certificated commercial plane, is “safe” by any useful definition.